Entering the Resort Room from the ramp in the 1st Gallery, you step into a period display of a typical Muskoka resort lobby of the early 20th century. Try the old style “magneto” telephones, connected through the switchboard, or the early dial-phones. Reprints of old postcards from the region’s many resorts are framed on the wall. Find the matching resort on the adjacent map, then ‘open-up’ the postcards for each resort to discover when they existed and who owned them, along with many of their unique features and other details. 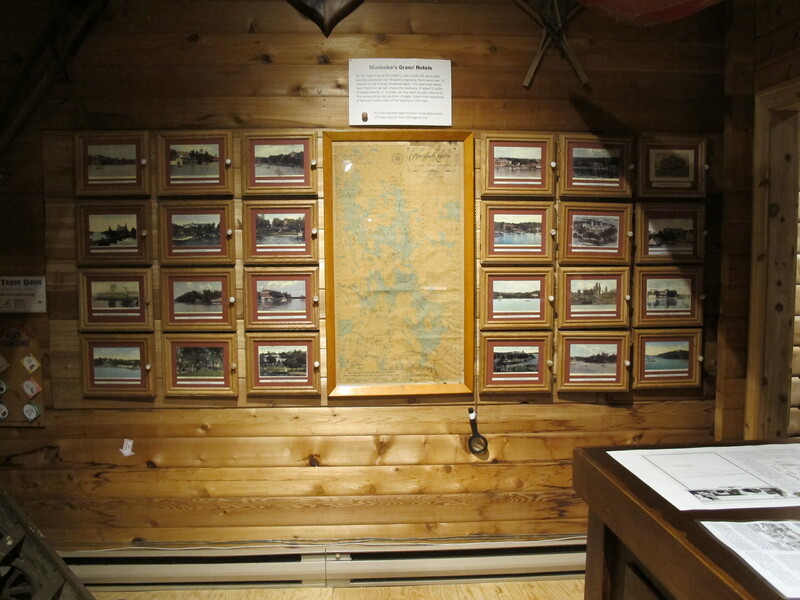 A separate exhibit case houses information on this season’s featured resort. The Resort Room also houses the museum’s own special time capsule, created in 2008 when local musical expert Paul Dodington recorded a life performance of the song ‘Mattinata’ by Leoncavallo, sung by Mr. Albert Greer of Orillia, Ontario, noted tenor soloist and conductor of The Cellar Singers. 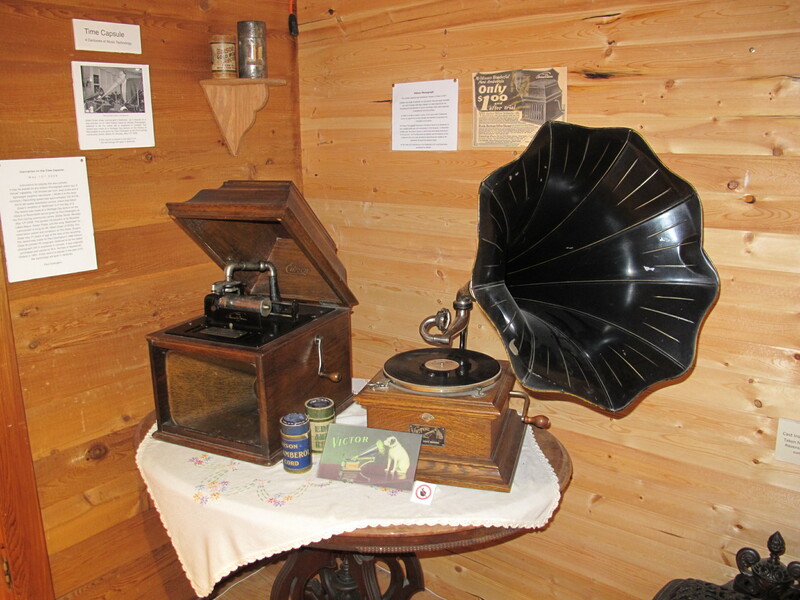 It was recorded on an old style wax cylinder, on Paul Dodington’s 1890 Edision Class M cylinder Phonograph, believed to be the oldest phonograph still in existence in Canada. If this wax cylinder recording is playing in the year 2101, the technology will span 4 centuries. Enjoy some of the messages on the replicas of postcards that vacationers sent at that time, such as this one sent to Toronto from Milford Bay House on Lake Muskoka — Dear Ma — arrived all ‘jake’. Big gang to meet us. Tell Steve that “V” neck sweaters are all the fad. Trunks arrived this morning. Stewart.